Microsoft has released its latest Windows Phone developer tools beta for those app developers keen on developing apps for Windows Phone 7. Interested developers can head over to grab the tools right now at the Windows Phone Developer Tools Beta. "The term "Beta" is understood to mean that things are close to being finished," Microsoft's Brandon Watson notes in a blog post. "Well, that's what we mean anyway. This Beta release represents the near final version of the tools for building applications and games for Windows Phone 7. "It's time to get serious about building the actual apps and games for Windows Phone 7 that consumers will be looking for starting this holiday season." 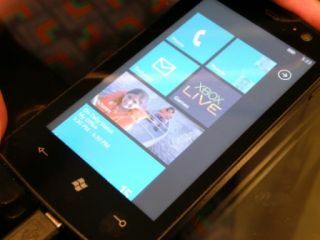 Microsoft originally announced Windows Phone 7 back at Mobile World Congress 2010 in Barcelona in February this year. - Microsoft Expression Blend for Windows Phone – Blend is now integrated completely into the Windows Phone Developer Tools Beta. - Developer Registration Utility – Now you can unlock you Windows Phone 7 device for development purposes. - XAP Deployment Tool – if you want to deploy XAP files directly to an unlocked device, now you can. - The Windows Phone 7 API – we're getting close to completion. Many namespaces that were previously distributed over several different DLLs have now been consolidated into one. In addition, there have been realignments and changes in several other namespaces as well. Push Notifications, Accelerometer and App Bar APIs have all been updated. - Additional Controls – There are some additional controls coming in the next few weeks (i.e. Panorama and Pivot) which didn't make the beta release. They are coming soon. Microsoft has also confirmed that those important enough will be able to get a preview handset from next week to test the phones in the physical world. Microsoft recently said that it 'missed an entire generation' so far with Windows Mobile. Will Windows Phone 7 make up for this lost time?